Name a car, get a free steak dinner? Count us in! It's not often that an offer like this comes along, so we thought we'd share it with you. Name this car and Bob Bertelsen will buy you a steak dinner. We know what you're going to say- "Camaro," right? It's not quite that easy. Bob has built some other pretty impressive cars in the past, including this Trans Am, which found it's way into the pages of several magazines, including Popular Hot Rodding as well as the 2010 OPTIMA Ultimate Street Car Invitational. 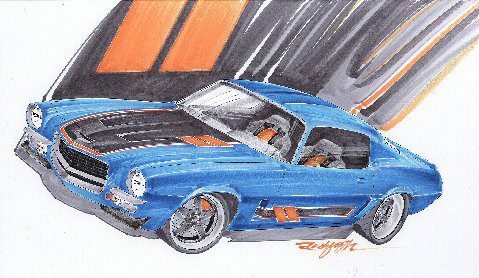 As many guys in his situation do, Bob has now moved on to another project, which is depicted in this rendering (and will feature an OPTIMA battery). The problem is, Bob has not yet come up with a name for this car. 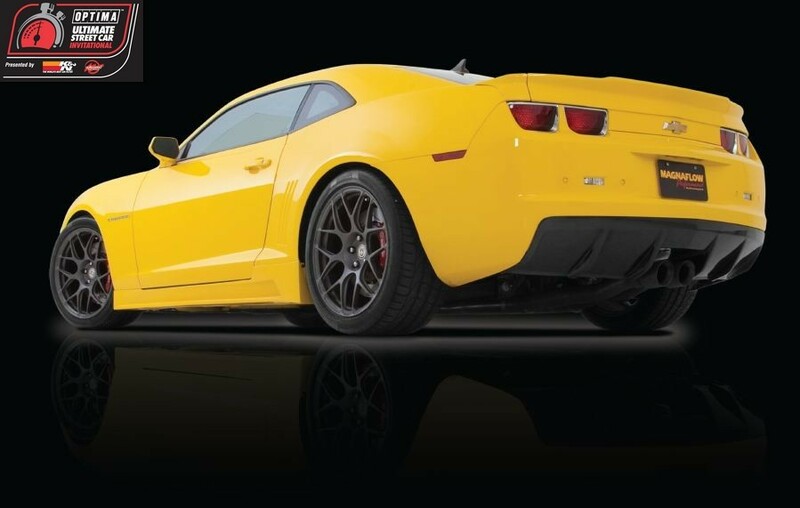 If you're still thinking it is a Camaro, you are correct, but by "name," we mean a name that will set this Camaro apart from all others, just as Mark Stielow did with the Red Devil Camaro or Murray Pfaff did with his Imperial Speedster. So, if you can come up with a name worthy of this Camaro, post your suggestion on FM3 Performance Marketing's Facebook Wall. If Bob picks your name, he'll buy you a steak dinner!